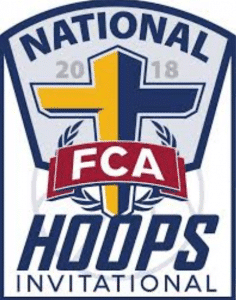 The Fellowship of Christian Athletes – WV Chapter is hosting the 2nd Annual FCA National Hoops Basketball Invitational beginning Monday, March 5, 2018 at WV State University. The games will feature: Nationally Ranked Prep Teams and 30+ potential D-1 players. Games are scheduled Monday – Wednesday, March 5th-7th. Consolation game will be Wednesday at 6 p.m.
Championship game will be Wednesday at 8 p.m.
Come and watch all day! All proceeds benefit the local FCA ministry. Call 304-344-9005 for more information. Need to contact me today? Copyright 2018. Jim Strawn and Company. All Rights Reserved | Design by Curio Creative Agency.